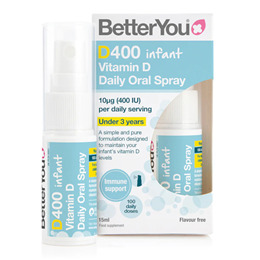 BetterYou DLux Infant Daily Vitamin D oral spray is suitable for children under 3 years of age. A gentle combination of vitamin D and coconut oil specially formulated to ensure your child`s vitamin D levels. The UK Department of Health highlights all children under 5 years as an at risk group for vitamin D deficiency and recommend that they should be given a daily supplement. Use 1 spray a day (pack contains 100 sprays). When using for the first time, tear off the security wrap and press the pump 3 times to get liquid flowing. Shake well before every use. Carefully spray once into the mouth or the inside of the cheek. Replace the cap afterwards. As with other food supplements, seek professional advice if your child is under medical supervision or suffers from food allergies. 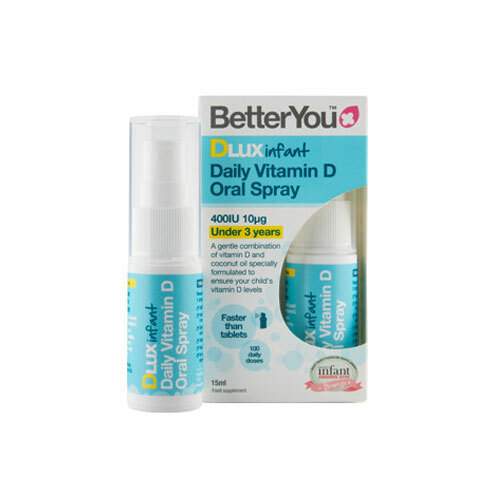 Below are reviews of BetterYou DLux Infant - Vitamin D Oral Spray - 15ml by bodykind customers. If you have tried this product we'd love to hear what you think so please leave a review.